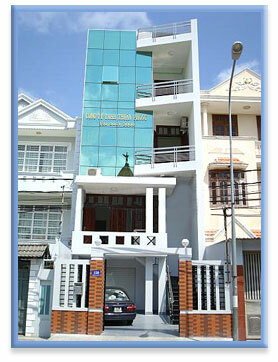 THUAN PHONG Co,Ltd was founded in 1997 to manufacture and to supply chemical in Vietnam. THUAN PHONG Co and its affiliated companies specialize in the petroleum such as chemical for oil drilling fluids and chemical for oil production. THUAN PHONG can be divided in two areas: Manufacturing chemical and exporting-importing and supplying chemical. For Oil Production: Coagulant CTP-1, Flocclant CTP-2, Antifoam CTP-3, Water Treatment Biocide WTB-1, Oxygen Scavenger CTP-7, Foamer FSW, Surfac S-14, Special Acid TP-04, Acid-In-Oil Emulsifier TPE-246, Acid Corrosion Inhibitor ACI-1, Intensifier ACI-2, Paraffine Inhibitor TPI-01, Pour Point Depressant TPD-1108, Pour Point Depressant TPD-1110, Pour Point Depressant TPD 1210, Crude Oil Demulsifier TPS-609, Cude Oil Demulsifier TPS-610, Surfactant Demulsifier TPS-02. Chemicals for oil drilling fluids. Chemicals for bridge and construction. Equipments for drilling mud and oil-gas production. Regarding the ability to supply product, we have a unique advantage being aligned with some of the most established manufacturer’s and suppliers in the Asia,USA and Europe.Such alliances afford us the ability to truly at the most competitive price a full range of product. Visitor: 442309 Copyright © 2009 by Thuan Phong. Thiết kế web bởi Trang Web Vàng.